Studio Wildcard, the developers that continue to prove they truly never sleep, today announced a huge content update for the Steam version of ARK: Survival Evolved as the team introduce a variety of deadly new inhabitants to the island including Spiders, Direbears and Mantas. Beginning today the brave survivors of ARK: Survival Evolved will be able to encounter powerful Direbears prowling various areas of the island while the waters will be patrolled by the deadly new Manta. Accompanying the debut of these new beasts are two new structures for players to build including a Chemistry Table and Primitive Cannon. Finally the first ever Boss Arena has also been unveiled as players will soon have the chance to battle the infamous Broodmother deep within her cobwebbed lair. 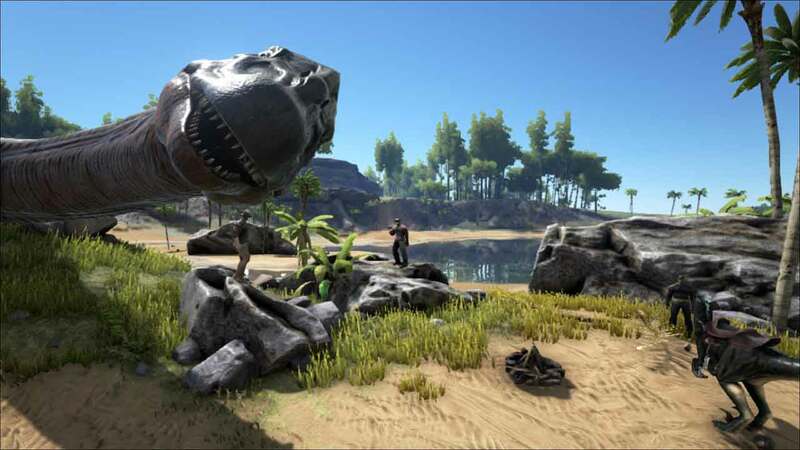 ARK: Survival Evolved is expected to launch late 2016 on Xbox One via the ID@Xbox Program, PlayStation 4 and PC, although it is currently available to play under Early Access on Steam for PC users and Microsoft’s Game Preview system on Xbox One.